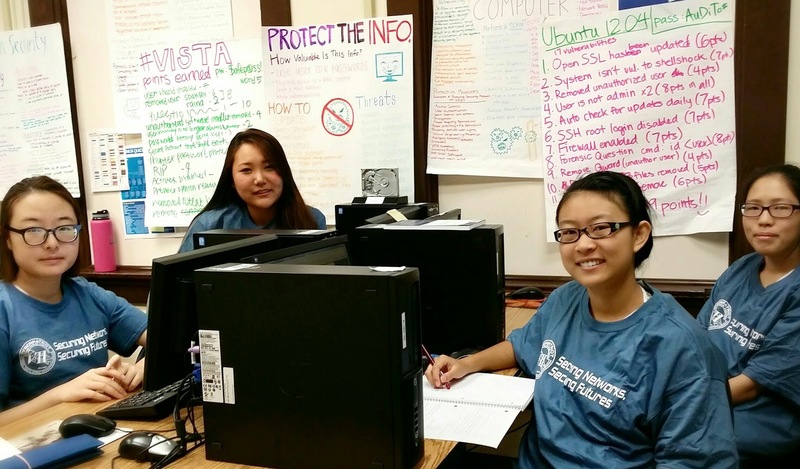 The CyberPatriot competition was conceived by the Air Force Association to inspire high school students toward careers in cybersecurity or other STEM fields. Practice rounds and qualification rounds ran from October through November, nationally. quiz. The State Rounds will be held this week. Due to scheduling conflicts, the CyberLancers-Gold team must compete between 10:00 a.m. to 5 p.m. on Friday, December 5th. 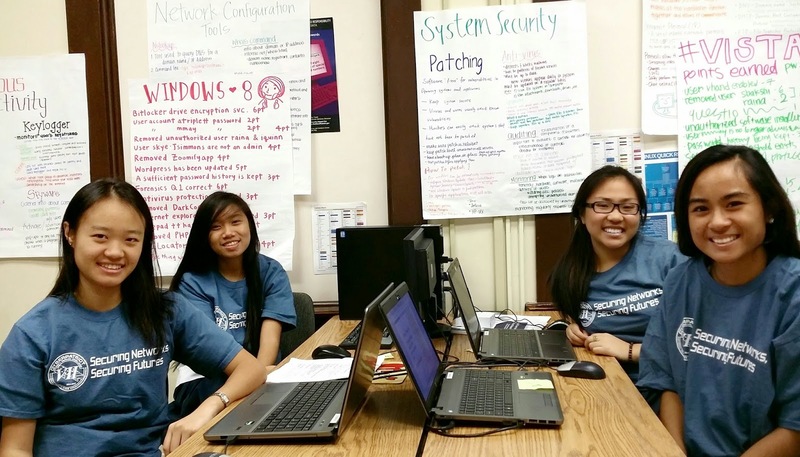 Team members are Leeyannah Santos, Angelyn Tabalba, Kristen Tumacder, and Mary Kay Zhang. Our second team will be competing on Sunday, December 7, 9:30 a.m. to 4:30 p.m. Team members are Stephanie Chun, Chloe Huang, Janelle Inao, and Gaby Kim. The teams have worked very hard to progress to this level. Let's support them through this weekend's State Rounds! For more information about the CyberPatriot Competition, visit their website: https://www.uscyberpatriot.org/competition/Competition-Overview/how-the-competition-works/.